Dr. John Farnie, a native Texan, joined Brodie Oaks Dental when he separated from the U.S. Air Force at then Bergstrom Air Force Base. His dental degree was earned at the University of Texas Dental Branch at Houston. Dr. Farnie went on to become a specialist in Prosthodontics, receiving his training under the auspices of the Air Force, and was assigned to Lowry AFB, CO, where he directed, advised and provided quality control to the fabrication of dental prostheses for patients in twelve northwest and central United States. He also was associate clinical professor at the University of Colorado Dental School. 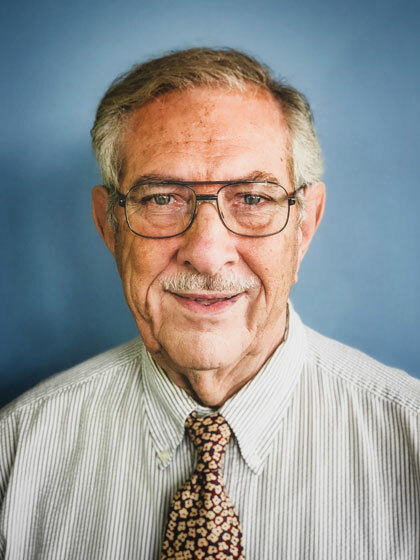 As a prosthodontist, Dr. Farnie’s passion and focus is the rehabilitation of patients with severe bite problems. To accomplish this he employs the use of fillings, crowns, dental implants, and in some cases, full and partial dentures. Each patient has his or her own needs. Dr. Farnie teams with his patients, informing them of the risks and benefits of their treatment options to determine the unique treatment that is best for them. He feels privileged to serve the patients of Brodie Oaks Dental, and to help improve their dental health and well-being. My aim is to provide patients with the best, most appropriate dental treatment, and to impart the knowledge necessary to maintain their dental health and well-being. Dr. Farnie happily resides in Austin with his wife and daughter. His hobbies include travelling, sailing, cooking, and etymology. He is also an avid learner. While not keeping up with the latest trends and techniques in his field of training, he is taking classes on campus at The University of Texas. 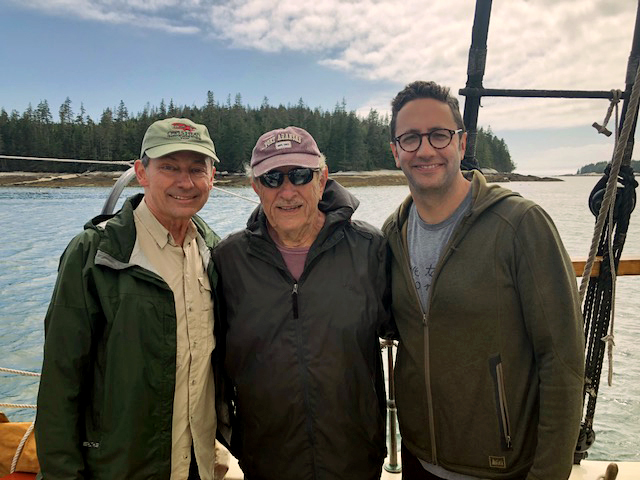 Dr. Farnie sailing with his son-in-law and cousin in Maine. As a Specialist in Prosthodontics, Dr. Farnie is well versed in creating and repairing dentures to ensure they’re fitting their best. "Dr. Farnie is ... superb. He has helped my mom and my mother-in-law with cosmetic dentistry (dentures and partials). My mom was so proud of how great she looked after having been to another dentist who didn't do such a great job." "Dr Farnie and his great staff are by far the most caring and attentive professionals we have ever encountered in the field of Dentistry." "Dr. Farnie took the upper denture that I had made in the last year and made corrections so my gum and mouth are not hurting at all!!! He is so SWEET and more importanty, knowledgeable. Of all the dentists I've had with my mouth issues over the past 20 years, he is the BEST!!" "Always pleased with the professionalism, expertise, and patience for a patient like me who typically does not enjoy visiting a dentist."